As the official partner of the live streaming video portal Twitch, Gillette will be on hand at the first TwitchCon to be held outside North America. The event not only expands Gillette’s international eSports activities, but delivers a host of activations for the expected 14,000 attendees at CityCube in Berlin April 13-14. Gillette will feel right at home as the partnership with Gillette and Twitch’s Gillette Gaming Alliance, an international team of 11 well-known twitch streamers, kicks off. For more than 80 years, Gillette’s SkinGuard Sensitive Blades are “Made in Berlin.” The factory where the latest Gillette blade technology is produced, makes an appearance on the TwitchCon home game for Gillette. Gillette, a Procter & Gamble brand, will not only host the 11 streamers, but also offer visitors the chance for meets and greets and follow the action in the livestream. In addition to its booth, which will span more than 100 square meters, a shaving station is available to GGA members and fans who can stop by to shave with the Gillette SkinGuard Sensitive and experience the Gillette Razor Maker live in action: personalized razor handles that come from a 3D printer. There will also be rounds of promotions and free samples of Gillette Fusion ProGlide Flexballs. Last month, the global marketing partnership between Twitch and Gillette began with the formation of the GGA. 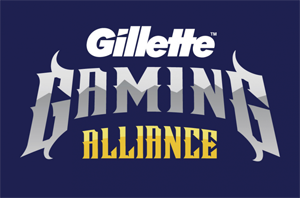 To kick off the collaboration, the GGA hosted a “Bits for Blades” campaign for fans to earn Twitch Bits by purchasing select Gillette products through Amazon. Gillette’s esports activities in Berlin expand on its past successes, including sponsoring the League of Legends Brazilian Championship and the Overwatch League team the Boston Uprising. Back in October, Gillette entered a one-year content partnership with the Italian esports organization Mkers. “As a global pioneer in sports and entertainment marketing, Gillette is particularly proud to expand its eSports marketing strategy with Twitch,” Jaweria Ali, global marketing director at Gillette, says. The GGA includes streamers from across the globe, including the U.S., Italy, Poland, Japan, Spain, South Korea and Turkey. One player from Berlin, 22-year-old Kevin Teller, better known as ” Papaplatte, streams live on Amazon-owned Twitch about one a week and lets his more than 200,000 fans participate in his playing strategies, but also in everyday situations. Since 2015, Twitch has hosted an annual convention that allows visitors to experience the world of eSports first-hand. This is where streamers, gaming communities and viewers meet.